Detroit Public Schools is not accepting applications for new or conversion charter schools at this time. Detroit Public Schools’ MacDowell and Rutherford elementary schools will be converted to charter schools that will open this fall, as part of a plan to raise academic achievement while keeping neighborhood schools open. Detroit Public Schools will be the authorizer for the new schools and will hold them accountable for meeting student achievement goals and complying with DPS requirements, as well as state and federal law. Following an intensive selection process, Solid Rock Management Company was selected to run Rutherford Elementary and SABIS Educational Systems, Inc., was selected to operate MacDowell Elementary School. The MacDowell community is invited to a meet-and-greet event with SABIS’ team at the school at 7 p.m. Monday March 26. Cooke Elementary and Noble Elementary, which were candidates for conversion, will not be converted this year and will remain open as DPS schools. They had to operate charter schools in Michigan for at least the last 3.5 years. After meeting those qualifications, candidates were put through a rigorous vetting process to determine their academic and operational quality, ability to replicate their successful programs and capacity to open up a new school in six months. Solid Rock Management Company, founded by Marvin L. Winans, has managed award-winning schools in Detroit for 15 years. The company serves more than 1,100 students in grades K-12 on two campuses. Solid Rock schools have been recognized for their academic excellence by the Skillman Foundation’s Good Schools initiative and have produced a Gates Millennium Scholarship recipient, as well as many other full scholarship recipients. Students from Marvin L. Winans Academy for Performing Arts have won numerous awards across the nation for their participation in Vocal and Orchestral competitions. Winans Academy students have performed at the Vatican in Rome and have gone on to attend colleges and universities across the nation, including Ivy League schools, Historically Black Colleges and Universities and other institutions of higher learning. SABIS® Educational Systems, Inc. is a global education management organization that has a long tradition of making a difference through education. With a network of schools in the U.S. in the private and public sectors, SABIS® has a proven track record of bringing value to individual students through the proprietary SABIS® Educational System, including nearly 1,400 students in Michigan. The International Academy of Saginaw (IAS), established in 2007, has enjoyed similar accolades, earning the distinction of “Top-Performing Michigan Public Charter School” and most recently being named as “Academic State Champion” by Bridge Magazine for its performance on the Grade 4 MEAP exam. Detroit Public Schools is one of the largest authorizers of charter schools in the city of Detroit. The district currently authorizes 14 schools that serve more than 4,000 students in a variety of settings from kindergarten through high school. The district’s portfolio includes five former DPS schools that were converted to charter schools last fall. Charter schools are public schools that are required to hire certified teachers, accept all students regardless of ability, administer the MEAP and MME and otherwise abide by the same laws required of traditional schools in Michigan. 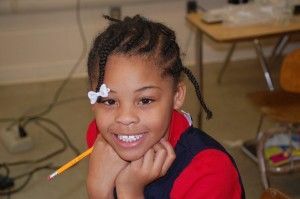 A charter school authorizer since 1998, Detroit Public Schools issues contracts with charter schools and monitors them to ensure they are financially sound, meet their academic goals and follow state and federal requirements. The mission of the Detroit Public Schools Office of Charter Schools is to authorize high-performing charter schools in Detroit, support them, and hold them accountable for compliance with the law and putting their students on a path to high school graduation and college enrollment. Locate their school facility within the school boundaries of the school they are replacing or leasing the facility of the DPS school they will be replacing. Provide bus transportation to those students who reside in the former DPS boundaries for that school and live more than ¾ of a mile from the school. Selecting the principal and teachers for the school. For more information on the transition, please go to detroitk12.org/achievement.